In her debut novel, Veronika Carnaby picks up where the Beat Generation left off. Set in 1960, Bohemia chronicles a group of twenty-somethings who defy the "ideals" of a mid-twentieth century society to seek creative fulfillment. Veronika Carnaby whisks readers away into a year where artists traversed the world in a passion to create their own path of existence in her novel, Bohemia. As four wayward twenty-somethings band together to travel across England, their journeys are transcribed by Valerie, the main character. Valerie is the only constant in the novel that documents how quickly lives can change when one is living with the wind. I liked Val with her deep sense of freedom propelling her forward, into unknown cities, countries, and the need to know what it meant to live. Readers will connect with her drive to explore, even though it is a mere, vagrant existence. Valerie is the character that refuses to settle. When she realizes that writing is her art, her immortality, she stops at nothing to spread her work. The supporting characters of Bohemia will connect with all readers differently. Each member of the cast offers a different view of the world. I suspect readers will easily bond with those closest to their own nature. Photographers and those that love details will connect with Muffy, as guitar-playing dreamers will align with Lyle. While some readers will have disdain for certain characters, as I did. The plot of the novel was one of progression. 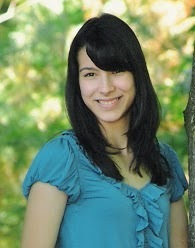 It is a time-lined story that follows Valerie through her year long marathon of finding life. The prose was beautifully written, though a bit long winded at times, much like the points of Valerie's quest. A wonderful alignment of craft with situation. Bohemia is a well-crafted novel immortalizing the journey to discover life as a living thing through 1960 and personal art. 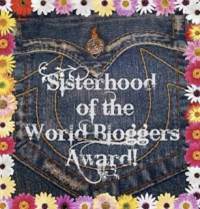 1.Can you describe your book, Bohemia, and tell us what inspired you to write it? I answered this question in a previous interview in a way that, I think, summarizes it best: Bohemia is an unconventional account of rebellion, artistic freedom, and youth in the 1960s…something of a Beat Generation-influenced work, if you will. Combine some of my personal experiences along with some of my greatest influences and the end product in a nutshell is the story of Bohemia. 2. How did you create the main character Valerie, and what kind of bond do you think characters are able to make with her throughout the novel? I’d like to think that Valerie is somewhat a reflection of myself. That’s not to say that she’s entirely based on me or that I’ve gone through the circumstances of her life per se, but I’ve pinched a lot her struggles, outlooks, and persona from my own life and tailored it in a way that would fit her and the fictional world that she inhabits. Because of that, I think that her experience are quite realistic. She forms enduring personal bonds with some characters, she clashes with others, and she feels lost, confused, fulfilled, determined along the way, just like anyone else would. 3.What was your favorite part of writing Bohemia? The entire writing process is a pleasure, which it should be, anyway. Everything from crafting an idea nugget to writing until I feel like my arm will snap off is time well-spent and enjoyed for me. 4.What do you like to do in your freetime,when you aren't writing? Listen to music, attend concerts, watch films, read, shop…although I must say that I don’t spend too much time apart from writing. It’s a rarity for me to go but a few hours without it. I don’t consider it work, but rather a passion which I’d never take for granted. 5.How do you take your coffee? Lots of cream and even more sugar. I thank those who have taken the time to read Bohemia. For those who have yet to do so, you can get your copy at Amazon and see what everyone else has been chattering about! American author and poet, Veronika Carnaby, possesses a vintage charm that transcends well into her written works. Recognized for her Beat-style prose, her pieces have garnered international recognition after appearing in such publications and functions as The Ed Sullivan Show blog, SESAC Magazine, SXSW, Dan’s Papers Literary Journal, and the SESAC New York Music Awards, among others. Whether penning poems, short stories, or novels, Carnaby infuses her writing with a poignancy and passion for 20th century culture. 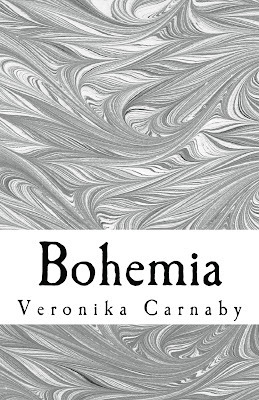 A huge thanks goes out to Veronika from The Coffee Pot for allowing me to provide an interview along with the review of her astounding novel, Bohemia!